Independent Bookshop Week (20th to 27th June 2015) is part of the Books Are My Bag campaign, and seeks to celebrate independent bookshops in the UK and Ireland. This from a piece in The Observer by Anna Baddeley, who opened her own online page at myindependentbookshop.com only to find her nearest independent bookshop was not participationg. 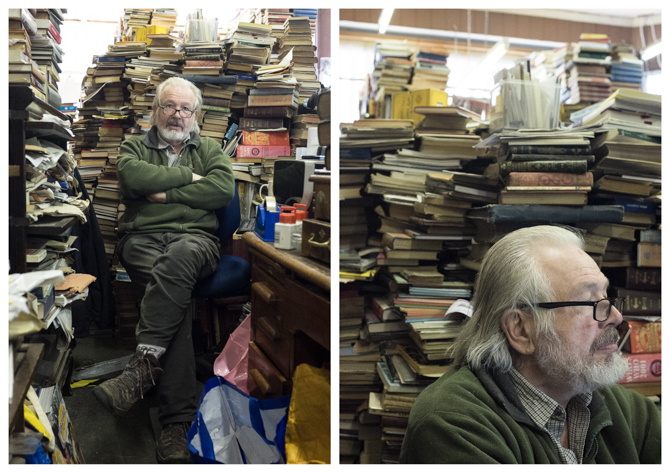 "I was appalled by My Independent Bookshop," its owner, Jo De Guia, tells me. "It’s a cynical attempt by a multinational to appear soft and fluffy." She’s not a luddite (she tweets and her husband, who helps run the shop, is a computer programmer); her opposition is financial. If existing customers buy online at a discounted price, it will eat into her margins. via Want to help your local bookshop? Visit it | The New Reading | Books | The Observer. It would be interesting to hear other independent booksellers’ views on this. I am glad I got to glimpse the legendary booksellers from this splendid generation. They were beginning to thin out even as I arrived. The Argosy Book Store and the Strand are still operating, but most of the rest are gone, felled not by the Internet, but merely by scoundrel time. Here is a brief honor roll of bookshops now vanished: the Seven Gables Bookshop; House of Books Ltd.; Scribner’s; the Gotham Book Mart; the Carnegie Book Shop; Dauber & Pine; the Eberstadt Brothers; University Place Book Shop; House of El Dieff; and Parnassus Books. I was only in this Elysium for two days in 1965, but I was drawn back many, many times since and still go back, though now I feel as if I am visiting a city of ghosts. via Lost Booksellers of New York – NYTimes.com. Waterstones is to open a new store in Ringwood, Hampshire, on Saturday (19th April). It is the first time Waterstones has opened in a totally new location since the chain store was bought my Alexander Mamut from the HMV Group in May 2011. 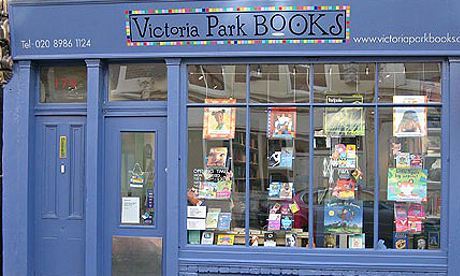 The store will employ six booksellers working under manager Sara Thompson. via Waterstones opens first new location since 2008 | The Bookseller. In a recent interview James Daunt also indicated that there will soon be a new Waterstones opening in Lewes, near Brighton. I’ve been to dozens of bookstores all over the country, and the one thing that strikes me is that every single one of them has it own, individual feel. There’s the cozy used bookshop in Boston with a cat that sits on the leather couch, and there are cathedrals to books like The Last Bookstore in Los Angeles. While I’ve seen countless coffee shops trying to use Starbucks as their template — only to close up immediately because customers don’t want another corporate-feeling place to sip their lattes — there is an undeniable feeling that, in this world where so much is prepackaged for us, indie bookstores just feel real and right. The explanation for #2 is simple: people don’t open bookstores because they think they’re going to strike it rich slinging paperbacks; they do it because they genuinely love it. There’s always the chance to expand (like one of Kachka and Stein’s examples, McNally Jackson, is planning to do this year by opening a second location in Brooklyn), but of all the store owners I’ve met, I’ve never walked away with the impression that they’re looking become millionaires. It sounds simple because it is, but so many people strike out on their own with the intention of striking it rich that they lose sight of what’s important. Events, working with local businesses, and getting people from outside the store involved in different ways all serve to strengthen the relationship between a bookstore and the community it serves. In Brooklyn especially, I’ve seen WORD in Greenpoint (now with a second location in New Jersey) work with all the other stores around their neighborhood. Community in Park Slope does a big reading series with the local synagogue that has brought readers like Donna Tartt and Malcolm Gladwell into a borough they used to ignore. It all shows that indie bookstore owners don’t open up shop with the hope of becoming the biggest bookstore in the country: they see themselves as local businesses that engage and care about the community. If you care about where you live, the people who live around you will care back. Are you one of the 15,000+ people who follow Washington DC’s Politics & Prose on Twitter? Did you realize that 18,000+ follow Book People in Austin, Texas? Or maybe you’re one of the 90,000+ who Powell’s in Portland. Whatever the case, despite all the money big brands (like this week’s punchline, U.S. Airways) throw at social media “gurus,” indie bookstores understand Twitter (and Facebook, and Tumblr) better than almost any business. I’m not saying they offer a career path with fringe benefits and a retirement program, but I’ve known the people behind the registers at some stores for years. In a place like New York City, where new faces come in and out of your life every hour, that says something. 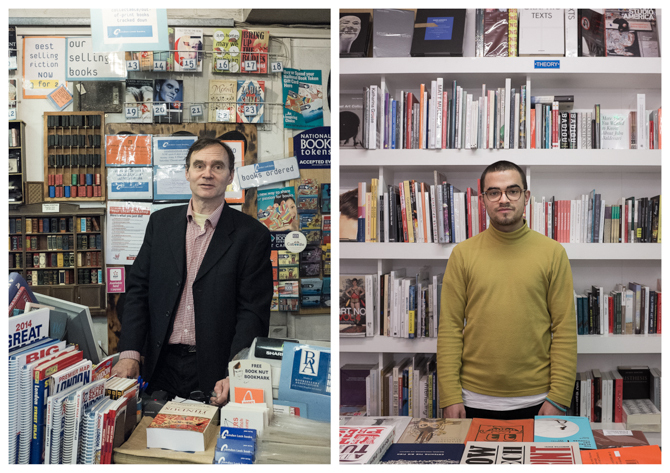 It says that the owners push their employees to take pride in their identity as booksellers. It sometimes feels a little like the corny Whole Foods “team member” jargon, but it actually works. People who work in bookstores care a great deal about what they’re doing. via Indie Bookstores’ Great Business Practices – Flavorwire. Indies First – Authors As Booksellers For A Day – Could It Catch On In UK? Could this be an idea for the UK, I wonder? On Saturday, November 30, independent bookstores will celebrate Indies First, the brainchild of writer Sherman Alexie, who encouraged authors to work as booksellers that day. via The Holidays Are Here—and Booksellers Are Ready!. 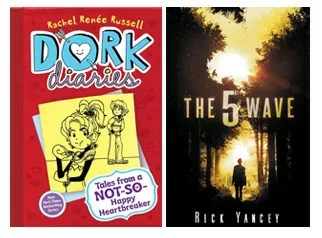 While sales for Suzanne Collins’s Hunger Games trilogy (Scholastic) and John Green’s The Fault in Our Stars (Dutton) may have dropped off at many stores from last summer’s highs, Rachel Renée Russell’s Dork Diaries series is still going strong, with number six, Tales from a Not-So-Happy Heartbreaker (S&S/Aladdin), topping many bookstores’ kids list. Other children’s books and series with staying power include R.J. Palacio’s Wonder (Knopf), published a year and a half ago, and Pete the Cat (HarperCollins). “Anything with beach scenes on the front is doing well for us,” says Robin Allen, owner of Forever Books in St. Joseph, Mich., whose customers are grabbing Pete the Cat: Pete at the Beach and Pete the Cat: Play Ball!, both created by James Dean. Sarah Dessen’s name also popped up on bestseller lists at a number of stores, like Hooray for Books!, which has been doing particularly well with her new novel, The Moon and More (Viking). via Children’s Booksellers Dork Out and Catch the Wave This Summer: A PW Survey. 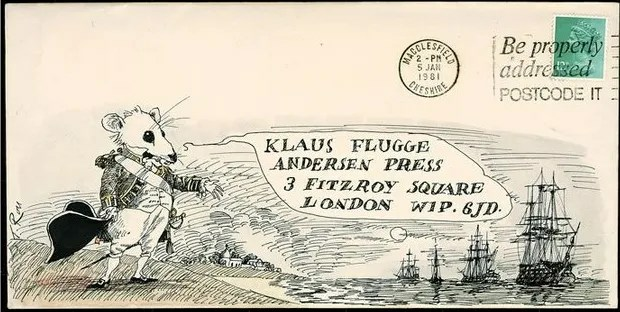 Letters to Klaus, a new book bringing together a collection of 100 illustrated envelopes sent to him throughout his career from illustrators including David McKee, Max Velthuijs, Tony Ross, Satoshi Kitamura, Posy Simmonds, Chris Riddell, Axel Scheffler and Emma Chichester Clark is being published exclusively for independent booksellers for Independent Booksellers Week (29 June – 3 July) as part of the Independent Booksellers Week Collectibles range. All proceeds from the sale of the book will be donated to Save the Children. via Letters to Klaus | Booktrust. Important subject this and one that has been exercising me for some time. When I first established ACHUKA in 1997 our buy-me links went to Bookpages, a UK online bookseller that was soon bought up by Amazon. My ‘affiliate’ status moved to Amazon automatically. For most of the time since then I have been happy with the arrangement. Amazon has been an extremely efficient online seller. But more importantly the affiliate scheme it runs is managed directly from the Amazon website, which makes adding links to books and other items incredibly easy to execute. I introduced Watertstones links alongside Amazon links on ACHUKA’s book pages a year ago. I would very much like to move to a position where I could eliminate the Amazon links and have an exclusive affiliateship with Waterstones. But this wouldn’t make Keith Smith – who has raised this issue in The Bookseller – happy either, because he views support for Waterstones (as opposed to support for “independent bookshops”) as being just as pernicious. Waterstones does need support. It’s important for the booktrade that it survives. But as long as Amazon can provide a significantly slicker and more efficient online trading experience it’s unlikely that I, or authors who want a quick and simple method of making their titles buyable from their websites, are going to be in a position to cut them out of the equation. Several publishers and authors have told The Bookseller that they are in the process of changing their author websites to link to independent booksellers, after a protest over author sites that link to Amazon or chain retailers. Keith Smith from Warwick & Kenilworth bookshops has expressed anger at the issue in a piece for The Bookseller. Smith cited the websites for Joanne Harris, Hugh Fearnley-Whittingstall, Alison Weir and Julia Donaldson as among those that link directly to Amazon, while those for Kate Morton, Ian Rankin, Tom Holland and Patrick Ness link to Amazon or chain retailers. via Anger over authors’ website links to Amazon | The Bookseller.